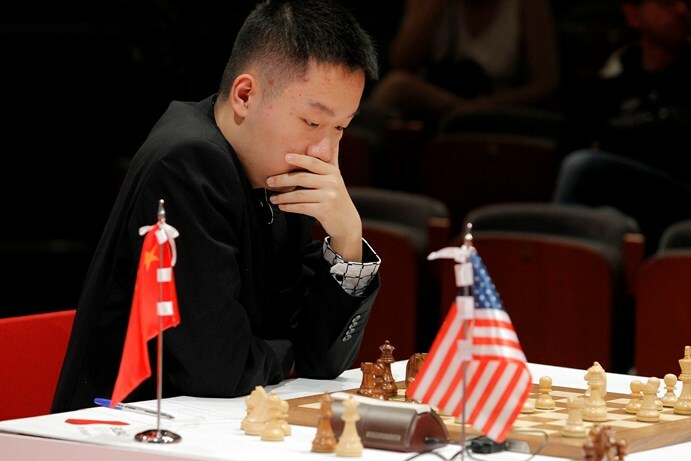 Wei Yi beat Anish Giri when the latter blundered in an endgame with 31…g5 which left his bishop cut off and unable to stop white’s passed pawn. 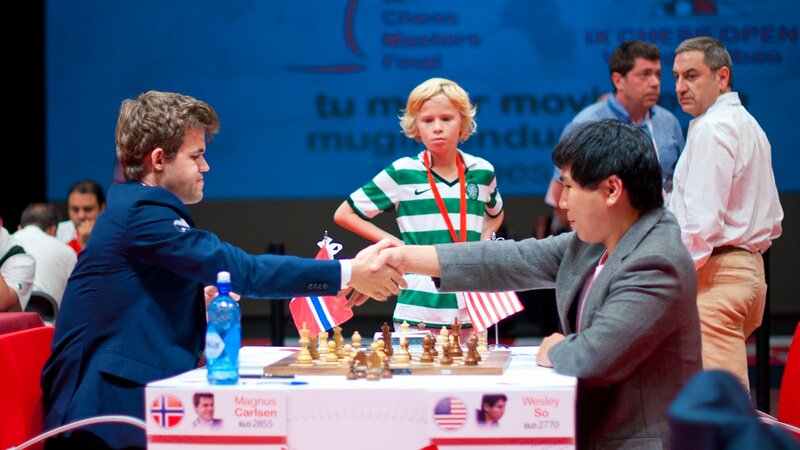 Furthermore, it wasn’t yet payback time for Magnus Carlsen as he just drew his game against Hikaru Nakamura. 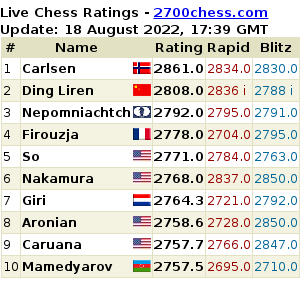 Lastly, the defending champion of the tournament, Wesley So, settled for another draw with Sergey Karjakin, and is thus now running last in the ranking (see table below). 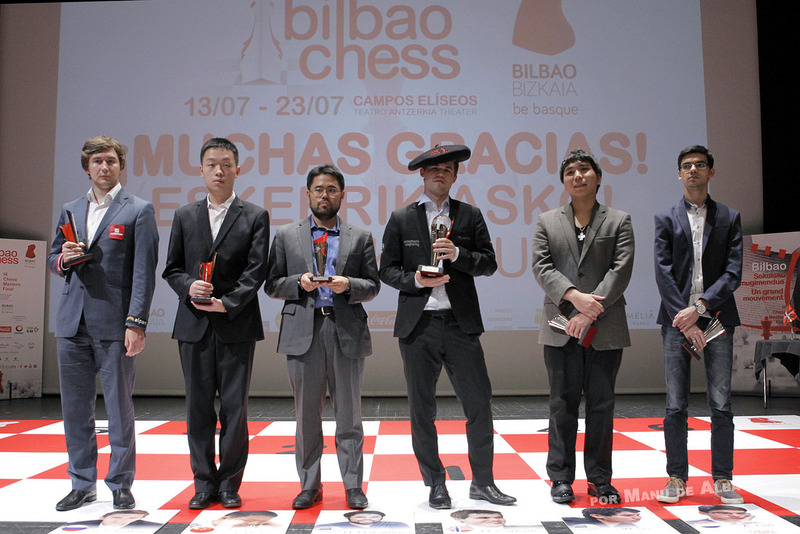 Like it or not, Magnus Carlsen is the player who provides the greatest entertainment in Bilbao. 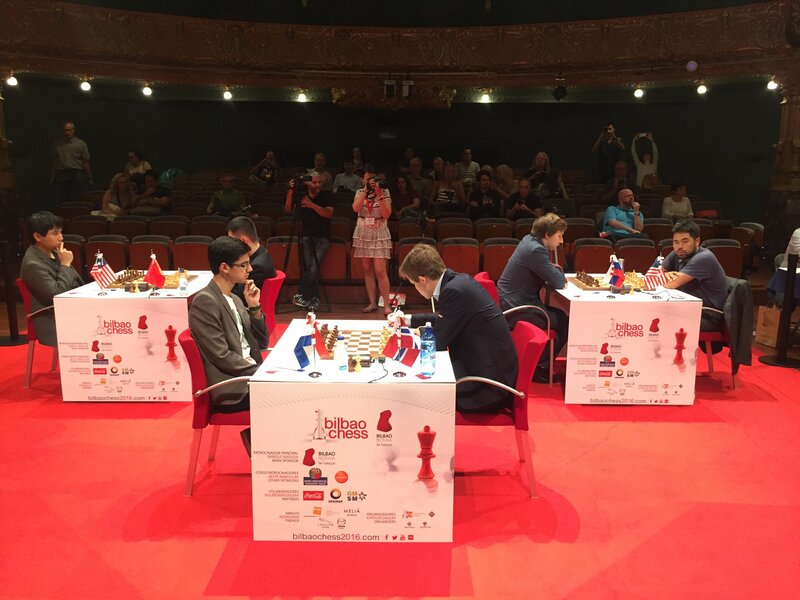 In round five he played with Black against Anish Giri and managed to create winning chances from an equal position. 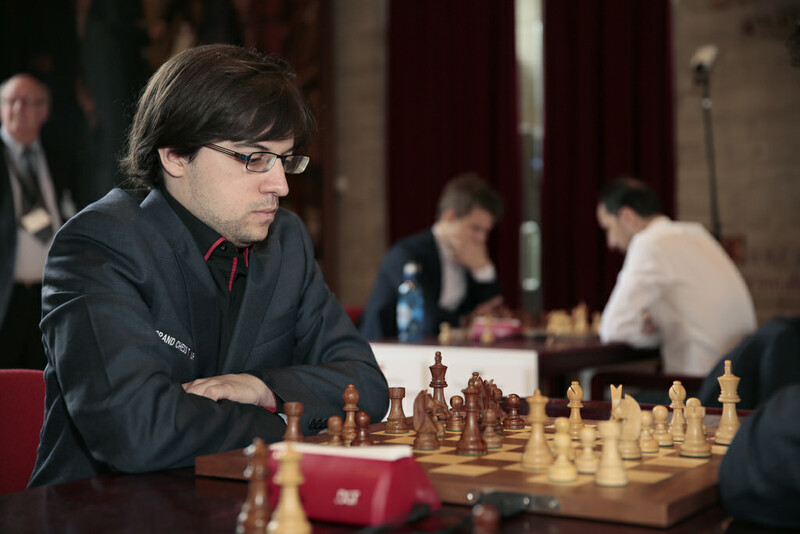 However, Giri’s tenacious defense allowed him to draw. 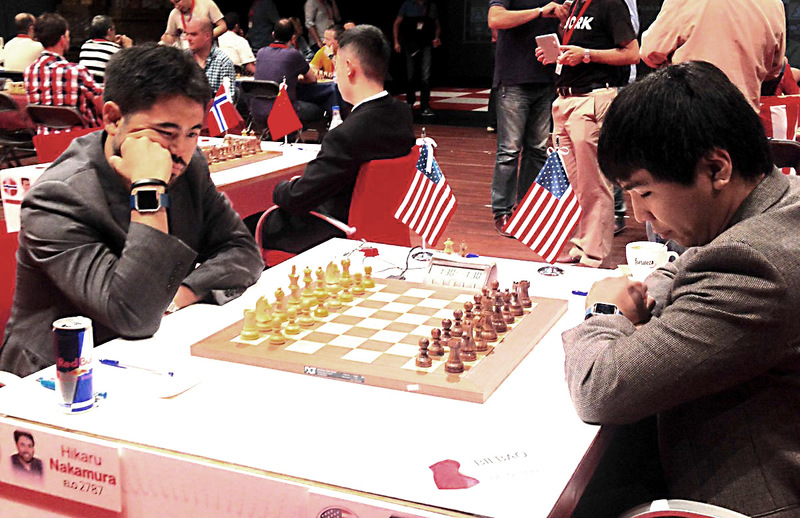 Sergey Karjakin and Hikaru Nakamura played an old line of the Queen’s Gambit Declined and after an improvement by White Black quickly forced a draw. 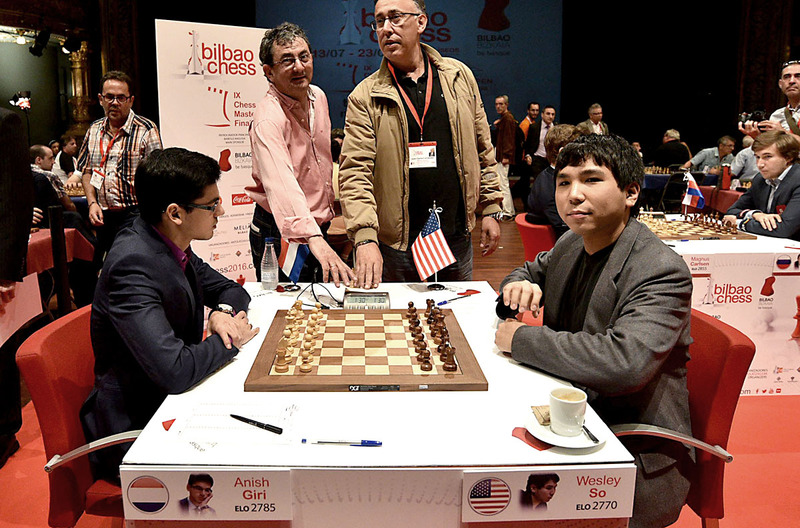 Wesley So tried hard to win against Wei Yi but had no success. 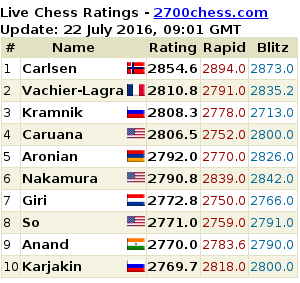 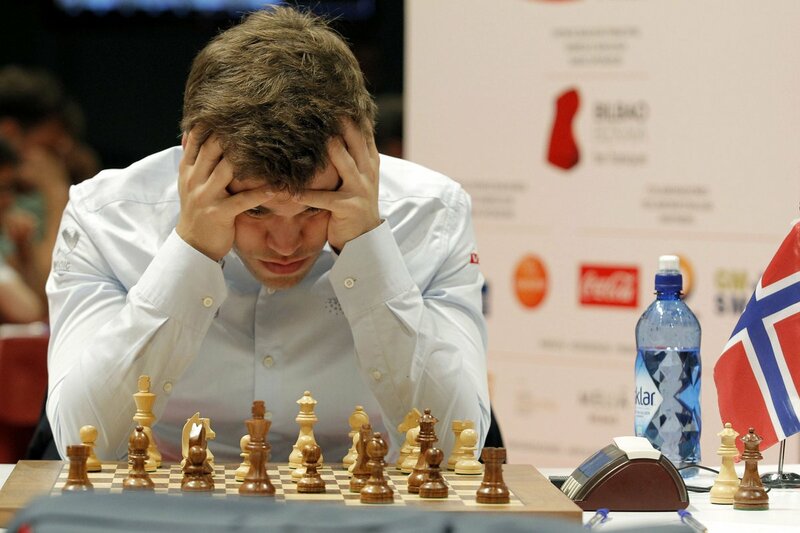 After five of ten rounds Carlsen leads with 10.0/15.